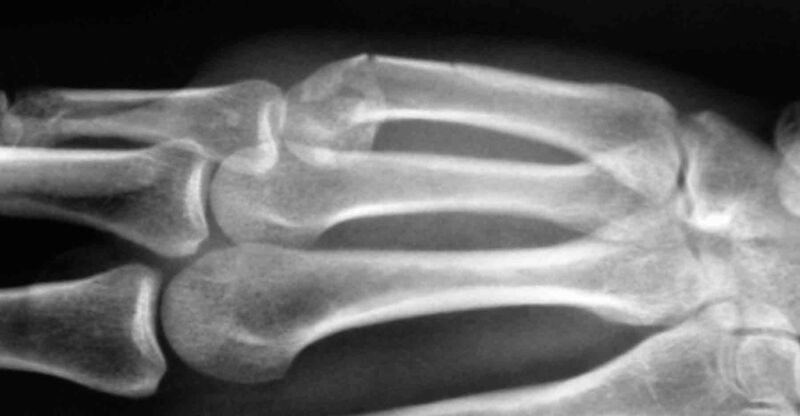 Because of the many important and mobile structures in the hand it is important that hand fractures are managed by a specialist with knowledge and understanding of these structures and knowledge of the implication of your particular injury on the use of your hand for both work and recreation. As a general rule open fractures (where there is a cut or wound overlying a fracture) should be seen and treated as soon as possible. Please contact Adelaide Plastic and Hand Surgery directly and we will arrange for you to see a surgeon as soon as possible and or be admitted directly to hospital. Closed fractures (with no breaks in the skin) should be seen and an appropriate management plan be put in place within a week of the injury. 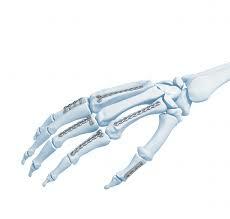 Depending on the particular bone involved and the type of fracture this can range from simple strapping of the fingers, through rigid splints, to operative fixation using metal plates and screws to hold the fracture in place while it is healing. The treatment that is most appropriate for you will take into account your work, sporting and recreational demands of your hand as well as your other medical conditions and general health. This will be discussed in depth at your appointment with your surgeon.